FREE again for a limited time – Factor Samurai, a fun game to practice multiplication/division while looking for prime factors. The goal of the game is to cut falling numbers down to their prime numbers. So if the number 14 is on the screen, it would be cut once to become 2 and 7. If the number 18 is on the screen, it would be cut twice – first to 3 and 6 and then the 6 would be cut to 2 and 3. The game has three levels – grasshopper, apprentice, and master. 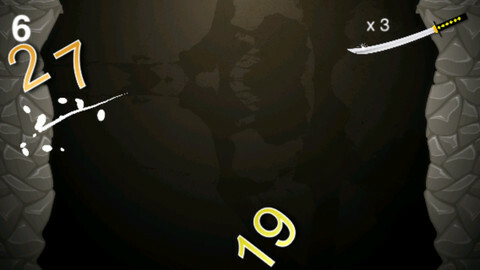 The speed of the falling numbers increases in each level. Once a player has cut 3 numbers that are already prime, the game is over. The score (showing how many numbers were cut down to their prime) is displayed! There is an option to play the game through the Game Center. This educational app is fun – a game that helps kids with an important math standard!